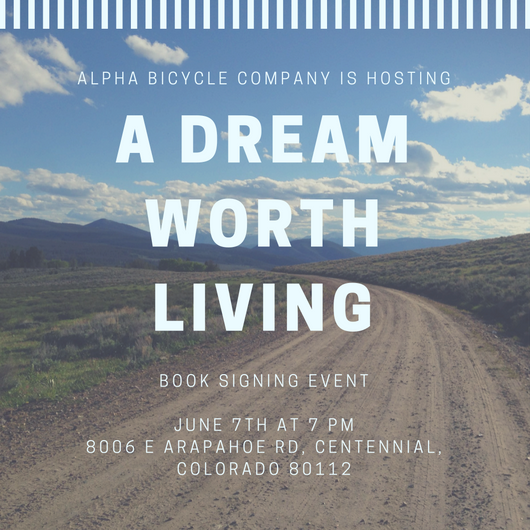 Join me and Alpha Bicycle Company on June 7th for an evening of Tour Divide talk. This is definitely one of those things in life I never imagined. Just like I never imagined myself writing and publishing a book. But hey, it’s happening so come out and enjoy some bike talk and refreshments. You can show your interest on the Alpha Bicycle Facebook page or just show up and have fun. Previous post: Paperback is now available!